Abu Dhabi: New Zealand skipper Kane Williamson showed tremendous resilience to hit a brilliant unbeaten century under pressure and overshadowed Pakistan leg-spinner Yasir Shah’s feat of becoming the quickest bowler to reach 200 wickets in Test history on Wednesday. The decisive knock from Williamson and his unbroken partnership of 212 with Henry Nicholls has put the visitors in line to post a challenging total from where they cannot lose the series-deciding final Test at the Shaikh Zayed Stadium. At stumps on Day 4, New Zealand were 272 for 4 in 104 overs with Williamson on an unbeaten 139 and Nicholls on 90 and the lead swelled to 198 with six wickets remaining. 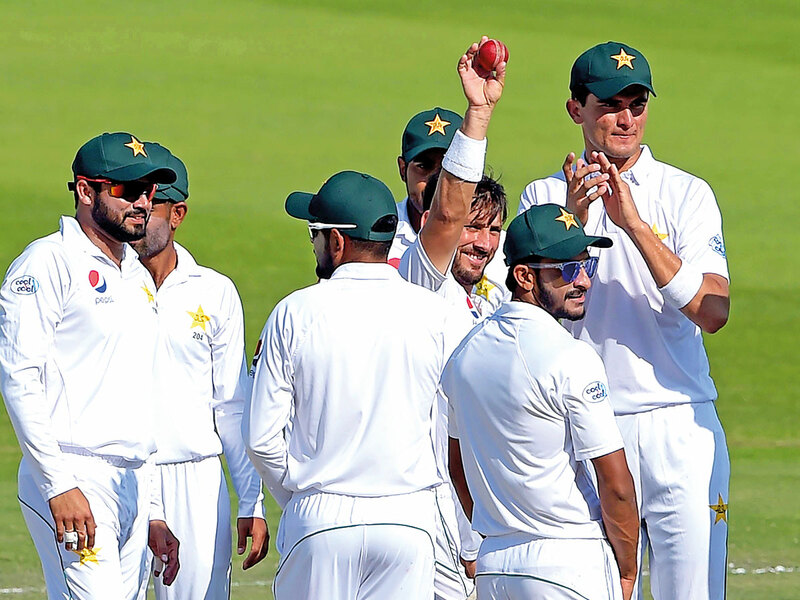 It’s already a total that they would back to defend given the suspect nature of Pakistan’s batting line-up in second innings, witnessed in the first Test. Those dark, disappointing memories of a dramatic collapse that saw them lose the first Test by a mere four runs will also be fresh in their memory going into the final day. One wouldn’t have seen anyone bat so fluently on a track like this the way Williamson has batted in both the innings. Patience has always been the key to bat on these slow turners and Williamson has that in abundance. New Zealand batting coach Craig McMillan hailed Kane’s innings under tough conditions. “Kane makes it look easier at times. Guys who have been out there will realise how difficult it is but such is the class of the man. At times, he makes it look ridiculously easier to make it pretty hard for Pakistan despite being very disciplined in their approach today. The sequence and help from the surface, and some turn there for Yasir Shah and Bilal (Asif) as well. They stuck to their task pretty well today,” said McMillan, who was also elated with the role Nicholls played in taking the side out of trouble. The day began with Yasir breaking the 82-year-old record when he had nightwatchman Will Somerville leg before — achieving the feat in his 33rd Test after New Zealand resumed their innings on 26-2. “I thank Allah for this success. It was my dream to take 200 wickets and it came true today. I would like to dedicate the world record to my mother,” said Yasir, who eclipsed Australian leg-spinner Clarrie Grimmett’s previous record of 200th wicket in his 36th Test while playing against South Africa at Johannesburg in 1936. Ross Taylor then came in all cylinders blazing for his quickfire 22 off 14 balls but that assertive approach saw him being caught in the deep by Bilal Asif of Shaheen Afridi, whom the former had smashed three boundaries and New Zealand slipped to 60-4. With a determined skipper in Williamson for company, Nicholls, who could have been leg before while on 3, had Pakistan opted to review off Yasir, kept gaining in confidence and stayed there till the end to put him in line for his third Test ton. Williamson also had his slice of luck — first one while on 82, dropped by Yasir at square leg and later on 106 — Yasir missing out on a caught and bowled chance. “The wicket is slow but it is turning from the patches and also from outside the crease. They were getting beaten but yes we have done a bit of loose bowling,” said Yasir. McMillan tried not to dwell much on the target his team was planning to set to force a win. “There was a lot of hard work done by Kane and Henry to get to a position now. We will talk about it tonight and tomorrow morning and come out with a plan of course to win this series,” he said.